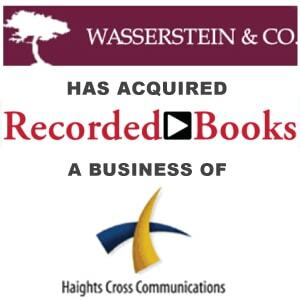 Wasserstein & Co. Acquires Recorded Books LLC From Haights Cross Communications - Berkery, Noyes & Co., LLC. NEW YORK–(BUSINESS WIRE)–Wasserstein & Co., LP (“Wasserstein & Co.”), on behalf of its private equity fund Wasserstein Partners III, has acquired all of the assets of Recorded Books LLC (“Recorded Books” or the “Company”), one of the leading worldwide providers of unabridged audiobooks, digital content, and services to the library, school, and retail markets, from Haights Cross Communications, Inc. (“HCC”), a leading K-12 educational and library publisher. Northwestern Mutual and Lexington Partners are co-investing in the transaction with Wasserstein & Co.
With operations in the U.S., U.K., and Australia, Recorded Books offers more than 13,500 exclusive unabridged audiobooks to the library, school, and retail markets. In addition, Recorded Books offers libraries more than 100,000 eBooks through its proprietary OneClick Digital platform, and 12 electronic resources including Zinio, a multi-platform distribution service for digital magazines, and IndieFlix, a streaming movie service. The Company’s U.K. subsidiary, W.F. Howes Ltd., is the leading publisher of audiobooks in the U.K. and a preeminent service provider to libraries in the region. Financing for the transaction was provided by BNP Paribas. Jones Day served as legal advisor to Wasserstein & Co. Berkery, Noyes & Co. acted as financial advisor to HCC and the Company. 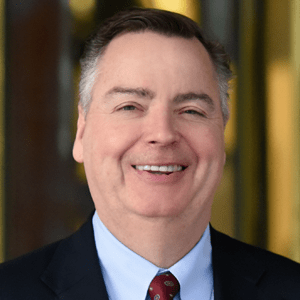 Berkery Noyes provides strategic mergers and acquisitions (M&A) transaction advisory services to middle-market healthcare, technology and information companies in the United States and internationally. The firm has advised many notable companies including Haymarket in its sale of Compliance Week to The Wilmington Group, ExitCare in its sale to Elsevier, Therapeutic Research in its sale to Francisco Partners, H.W. Wilson in its sale to EBSCO and UpToDate in its sale to Wolters Kluwer. For more detailed information, please visit: http://www.berkerynoyes.com.